Has it really been close to 3 months since I last wrote a blog post?!?!?! Wow, I’m sorry to you (readers) and to myself. As much as this is a help guide to wanna-be lone soldiers, it’s also a chronicle for myself and others about what life is like in the IDF. I update a lot on Facebook (which if you’re a fan, you know is quite a bit), but I also should have been updating more here as well. With blog posts I can go more in detail and make sure my memories aren’t lost! 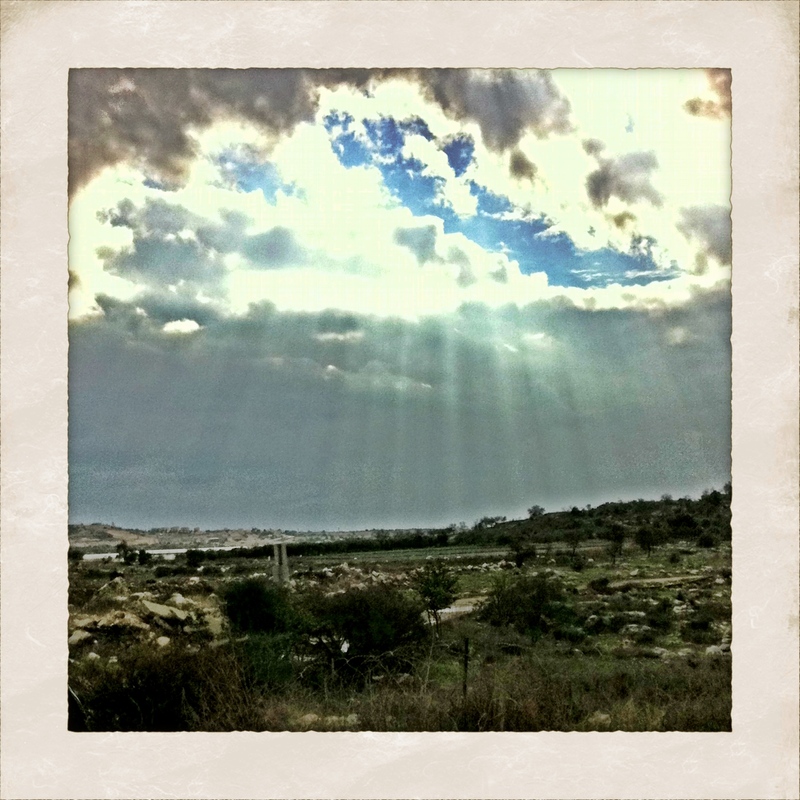 I’ve been back in Israel and on base for 2 weeks and already a ton has happened (or not happened). I’m home at my kibbutz now alone because my girlfriend was lucky enough to be selected to be a soldier on a Taglit (Birthright) trip. She’s traveling all around Israel for 10 days with a bunch of 20 somethings from the Philadelphia area, being their companion and guide through this holy land. She helps them with their questions and introduces them to Israeli idea’s and things they probably wouldn’t see or hear otherwise, along with answering the dumb question here or there of “HAVE YOU EVER SHOT ANYONE?!?!?!?!”. 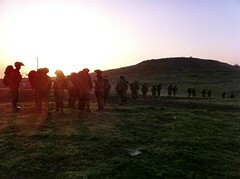 Contrary to popular belief, no, we soldiers in the IDF do not just walk around shooting people for the fun of it. 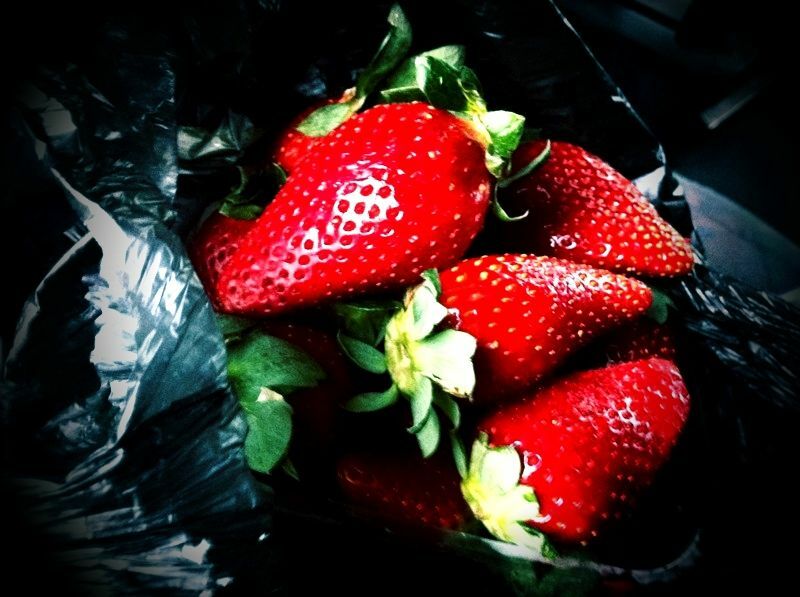 So now, where was I before I was sitting at my new computer eating strawberries from the shuk (market) in Tel Aviv? 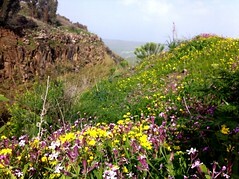 Where was I before two weeks of guard duty on the border of the West Bank? Why I was at home of course! Home in beautiful New York eating lox and cream cheese bagels, amaaaaaazing pizza and having the “occasional” beer or 10. Home was great. Really, I couldn’t have asked for much more. I saw my family and friends, I caught up on sleep, rode my motorcycle a few times, I ate A LOT, partied a bit too much and generally just did all the things I can’t or don’t have time to do here in Israel. There’s not much to explain about being home, you can’t explain the feeling of returning to a place that you’ve known for 23 years after a year of being gone. It’s just that, returning home. Most things are comfortably the same, with a few changes of the local stores. It’s nice that most things don’t change. It’s reassuring that there are things that don’t change every day. Keeps me sane at least. Returning to Israel a couple days later than I was supposed to due to a screw up on the army’s behalf was a pretty good bonus for once. Apparently they were beginning to think that I had run away, until I showed up and explained what had happened with my plane tickets. Long story short the army sent me to get my plane tickets the day before I was supposed to leave, so obviously there weren’t any tickets left, so the travel agent just added the lost days onto the end. Returning was bittersweet. 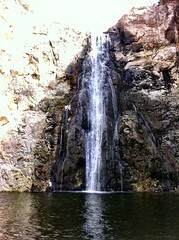 I liked that I would have something to occupy my time with again, but I missed home the second I was on the plane. It was hard knowing that the next time I would be home would be a minimum of another 6 months or so. All is well now though, I’ve come to peace with finishing up here and doing my duty that I have signed up for. June 15th is the day I’m done, unless they give me some really good reason to sign extra time? an interesting course or something maybe? For those of you out of the loop, since finishing my training at my original base I’ve been stationed between the Israeli settlement of Tsofim and the Arab city of Qalqilya, Check out the area here on a map. We do various different forms of guard duty there. I can’t go very in depth here, but it ranges from guard duty on base, to patrols and lookout towers on the border of Israel and Qalqiliya which is part of the West Bank. It’s very tiring work and after being on base for 2 weeks all anyone wants to do is go home and sleep. Some shifts go up to 12 hours… and in one location you sleep there for several days on end, taking turns guarding with the other people there. No showers, no change of clothes, and you make your own food there! Next week I’ll be moving bases again… but that’s for next blog. For now, I will give you a short photo essay to sum up my last month or so. I wish I could post more, but remembering our chats during training – I probably shouldn’t post some pictures that I have in case they got in the wrong hands, and that’s weird that I actually think like that now. I got to see tons of family including my niece (Helen) and nephew (Sam, pictured here). It was great to see them after such a long time. 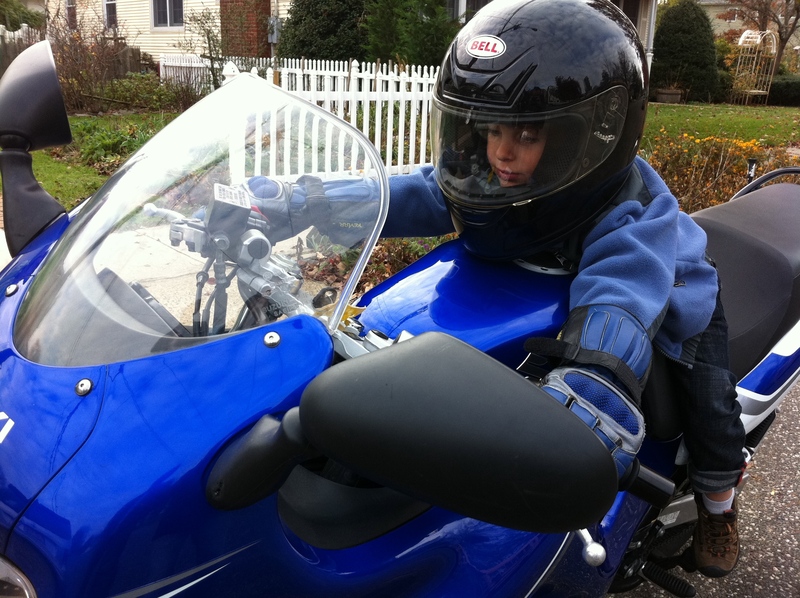 I think Sam liked my motorcycle as much as I do! P.S. Don't worry mom's around the world, this motorcycle was never moving with him on it! 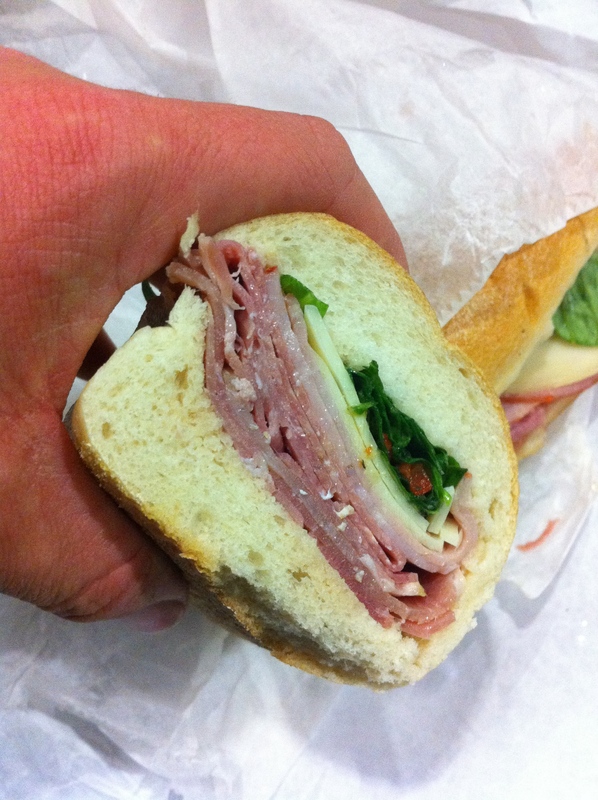 how I missed unkosher deli sandwiches. sorry but I don't think I can ever give it up! 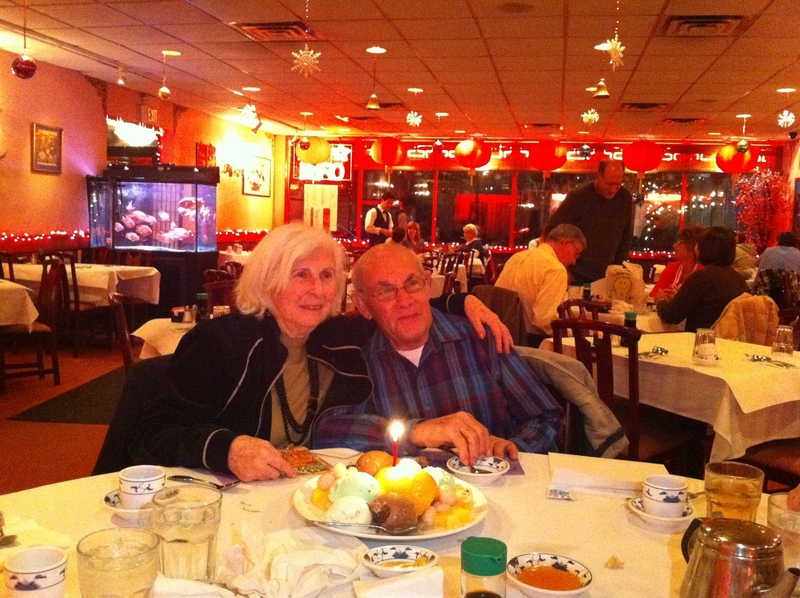 My grandparents had their 64th anniversary while I was home! 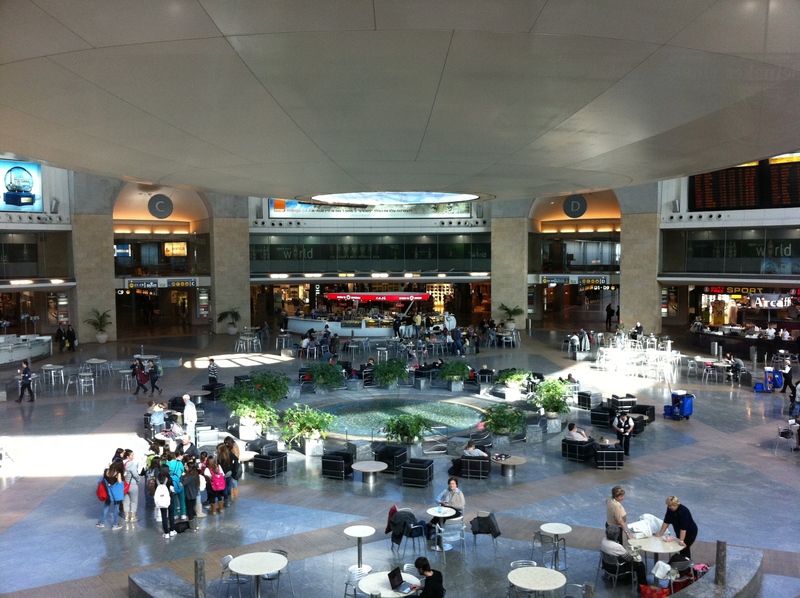 Ben Gurion Airport... Returning to the land. 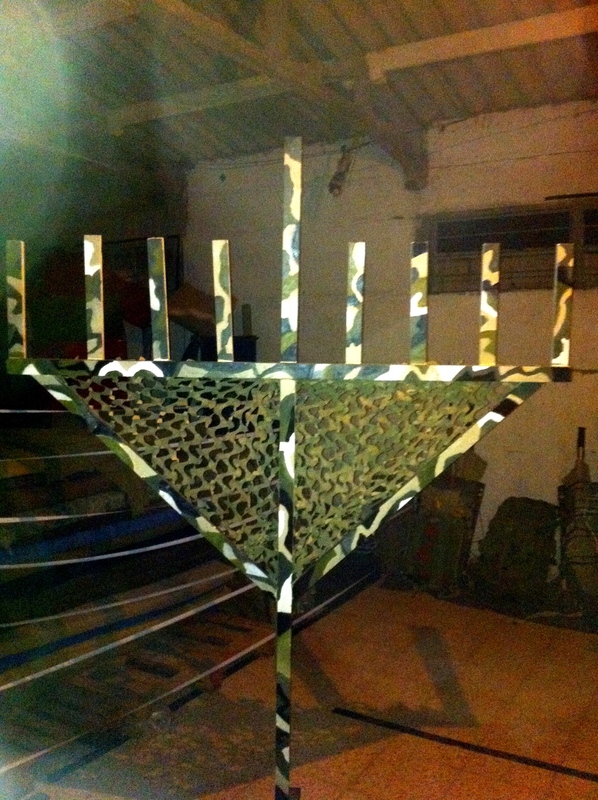 We built our own army Chanukiah for Chanukah!!! What do you think? I know this sorta looks like a Hess truck from the holidays, but it's a real truck the police and soon the army will use here! 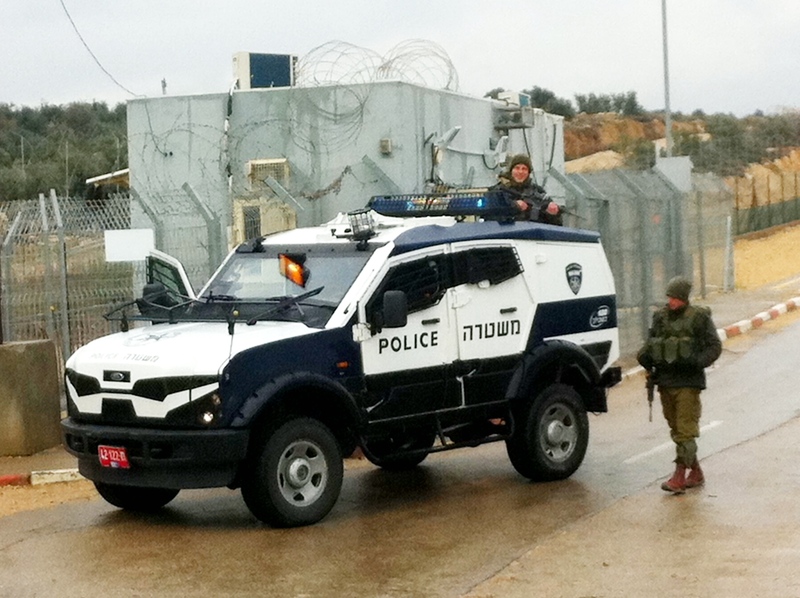 It's a Ford that's been heavily customized by an Israeli company! 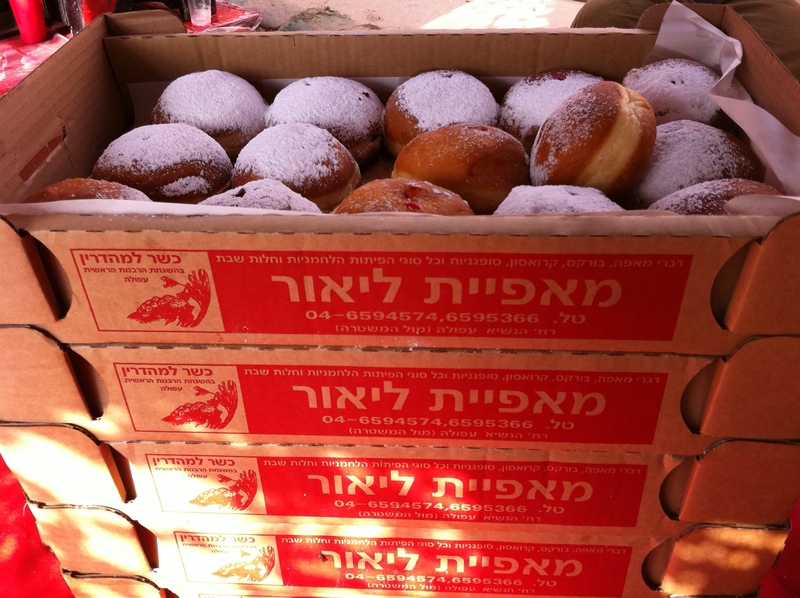 SUFGANIOT!!!! Our Battalion commanders father was kind enough to buy/donate a ton of donuts for all of us during Chanukah... WOW they were good! 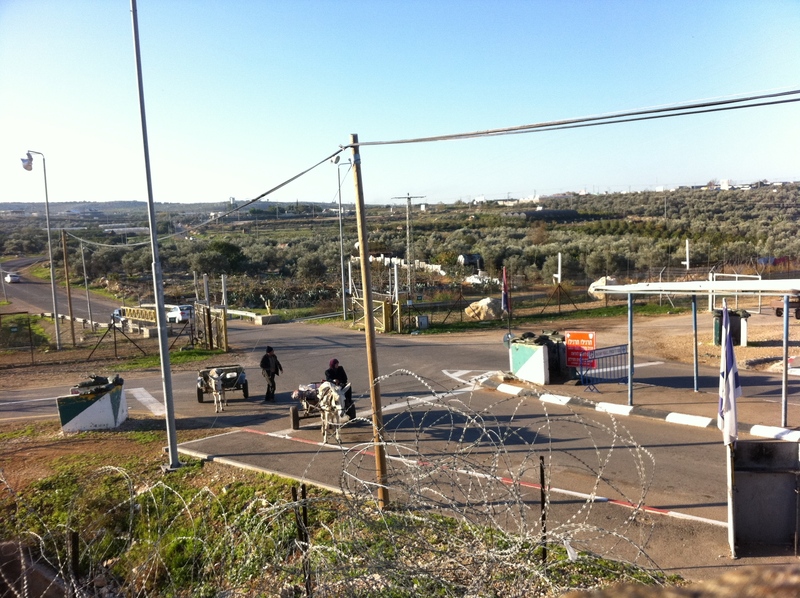 A checkpoint near a border to check ID's of Israeli's and Palestinians alike crossing the border. A public area so I felt it ok to show. 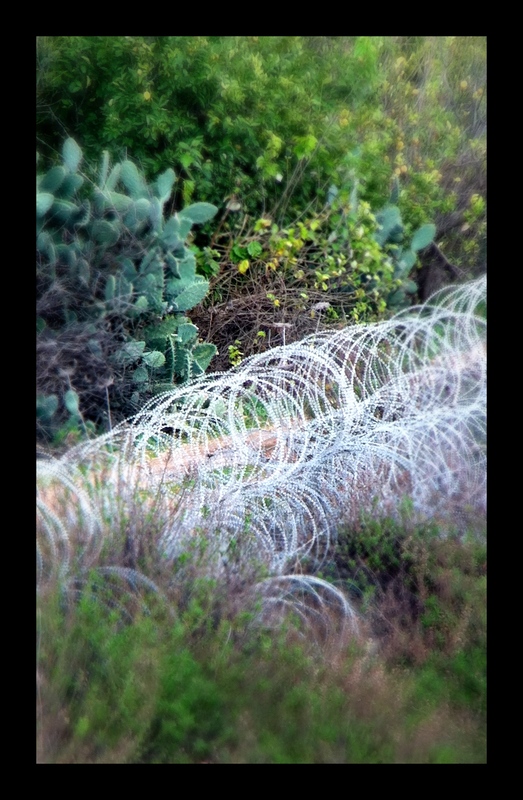 Many people cross this border every day to go to one side or the other to work. If you made it to here, Thanks for reading, thanks for looking at my pictures and if you’re a regular, sorry for the long wait for a new post! I hope to post more frequently now that I have my own (new) laptop, and have gotten a little more back into a regular schedule. Hope you’ve enjoyed and make sure to like and share my facebook page, that’s where the most frequent updates are! Till next time, enjoy! Tonight at 7:30pm I’ll be on a Virgin airlines flight to London. At London Heathrow I’ll spend several hours trying to get as drunk as possible for as cheap as possible considering I have a 5 1/2 hour layover there. In my inebriated state I hope to gain some more insight into why I’m doing what I’m doing other than for shits and giggles and the fact that I’ve got nothing better to do with my time. I’ll talk to people, try to convince them to buy me drinks as a “send me off” and eventually spark up some friendly political debates, hopefully it will pass the time quickly. If that doesn’t pan out, I’ve always got my handy dandy iPhone games and reading. From London my El Al flight heads over to Ben Gurion airport in Tel Aviv, due for arrival at 9pm on Tuesday. Super stoked for 14 1/2 hours of travel time. Should be AWESOME. At least I’ll be back in the warmth of TLV tomorrow night, it’s still in the 70’s during the day, and high 50’s at night. Not too shabby considering I’m looking out my window at some fluffy snow gently blowing around right now. Time to start packing up my bags, haven’t started that venture yet – and I’m leaving tonight on a jet plane.